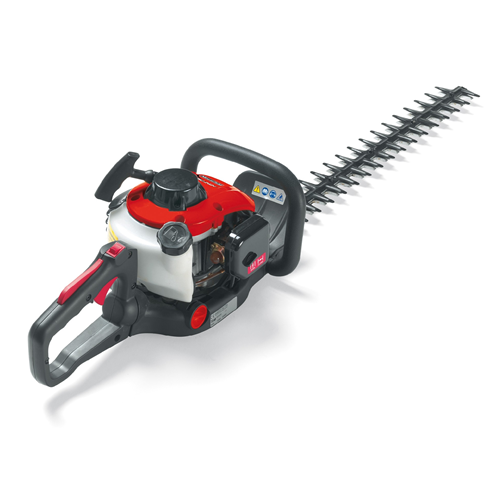 The Mountfield MHJ2424 hedge trimmer is powered by a reliable, easy start 24.5cc two-stroke petrol engine which runs on a 50:1 fuel/oil mixture. 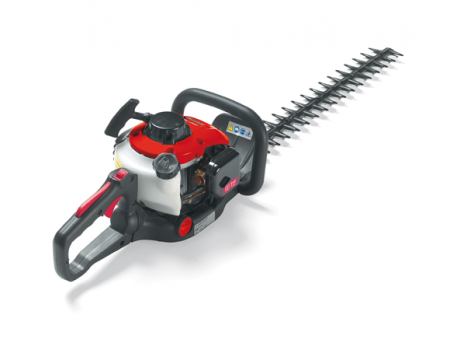 The 61cm/24" double reciprocating blades will make light work of cutting growth up to 28mm in diameter. A comfortable working position can be easily selected with the twist-grip 3 position rear handle.